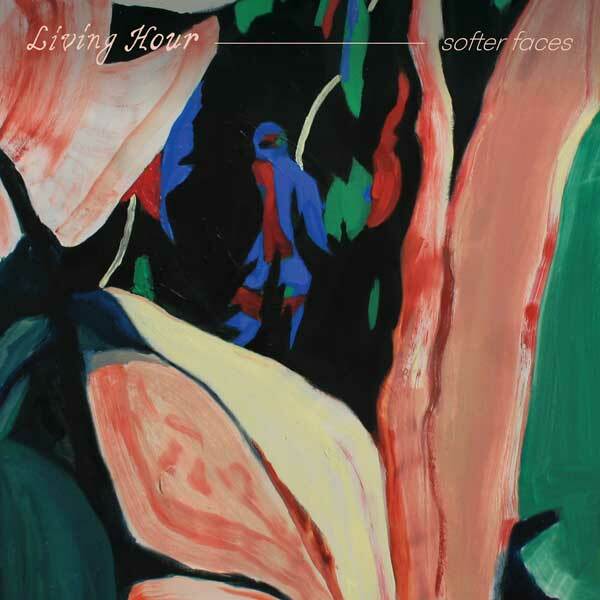 Winnipeg’s Living Hour will release its sophomore LP, Softer Faces, on March 1 via Kanine Records. A follow-up to their highly-praised 2016 S/T debut, it features the haunting, ethereal vocals of lead singer Sam Sarty accompanied by lush, expansive instrumentation. Today, the band shares lead single "Bottom Step", a hazy, hypnotic track with a wistful vibe. The song is available across all streaming platforms today. Living Hour has been expanding since their humble basement beginnings in 2015. Now a quintet, rounded out by Gil Carroll (guitar), Adam Soloway (guitar, vocals), Alex Chochinov (drums, trumpet, orangelle), and Brett Ticzon (bass, vocals), Living Hour’s emotive vocals, intricate harmonies, with dreamy washes of guitar, bass, keys, and horns sees the band pulling from many genres to create their own diverse vibe that's intimate, honest, and vulnerable. Known for their mesmerizing and deeply-moving live show, Living Hour has toured Europe, the UK and North America. Their performance captures the dreamy, emotional power of the band’s recordings, creating a mesmerizing, unforgettable, cathartic, and deeply moving live music experience. Sarty finds that, "Sometimes people are a little turned off and not living in the now or being present. I find that when you perform, it's one of the most present moments that you can be in. You're living in the hour." The band is currently wrapping up a North American tour -- see below for upcoming dates.